Over the last two centuries the churches and cathedrals of Paris have been powerhouses of creativity, with composers producing countless masterpieces for choirs and the organ. 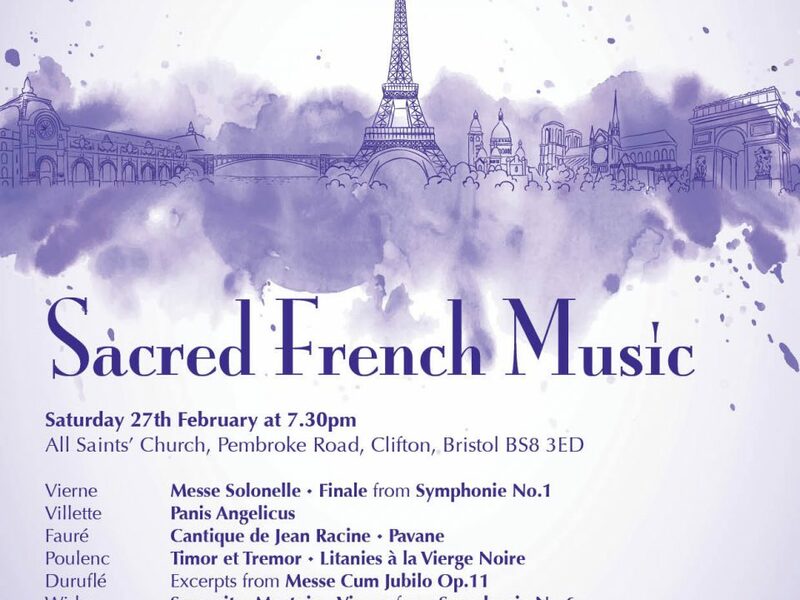 This concert gives a taste of that typically French sound with movements from the monumental organ symphonies by Widor and Vierne and a wide range of motets for choir by some of France’s most celebrated composers. The rich romantic style of Fauré in the popular Cantique de Jean Racine is contrasted by the stark chordal writing of Poulenc in two of his Lenten motets. In Litanies à la Vierge Noire for ladies’ voices, Poulenc expresses the peace and devotion of the ancient pilgrimage site Rocamadour after visiting it following the death of a dear friend. At the heart of the programme is Vierne’s monumental Messe Solennelle, written in 1899 for choir and two organs. In this performance the two organ parts have been condensed into one, and will be played with typical flair by Richard Johnson on the recently refurbished Walker organ. The concert also features a new setting of Ave Maria by David Ogden based on Fauré’s beautiful Pavane. During the interval you are invited to enjoy a complimentary glass of French wine and cheese.